Qualitas will provide the $250m senior debt facility to fund construction of West End, in one of the largest construction finance facilities arranged for a privately-owned developer. 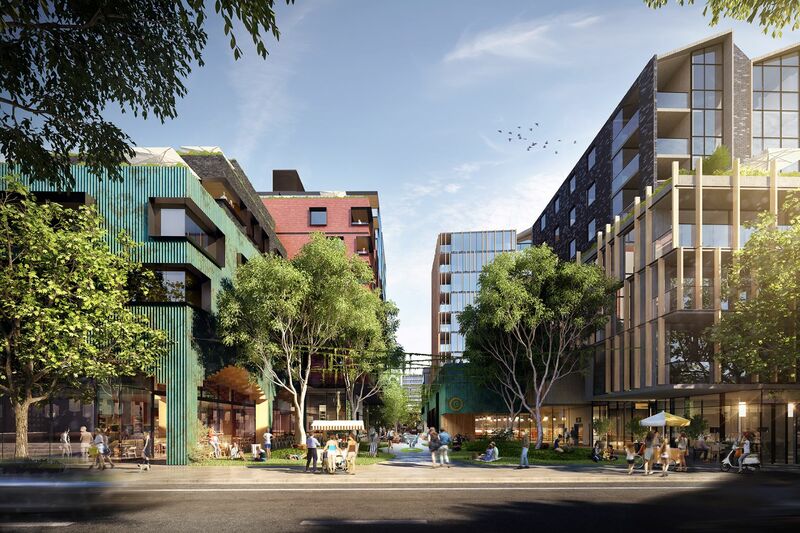 Prominent local developer Trenerry Property Group has commenced construction at its $345 million mixed-use lifestyle precinct, West End in West Melbourne, which is set to become one of Melbourne’s largest inner-city residential developments. 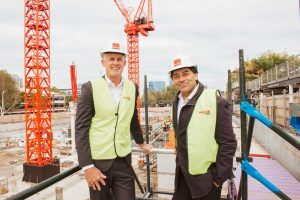 The $200 million-plus build contract for construction of the 75,000sqm site at 185 Rosslyn Street, West Melbourne has been awarded to Melbourne-based builder Hacer Group. The project is backed by an experienced development consortium made up of the Smorgon family, Kanat family, and Trenerry Property Group. Once complete West End will comprise 377 residential apartments, a 99-serviced apartments in the form of an Adina-branded hotel and over 6,000sqm of retail and commercial space, delivered across five architecturally unique buildings. West End’s retail and commercial offering, which will service the ever-growing population of West and North Melbourne, will comprise a number of restaurants and bars including wine and rooftop venues, child minding facilities and co-working office space, while adding almost 100 retail customer carparks. Tim Johansen and Robert Dicintio at the West End site. Tim Johansen, managing director, capital and debt at Qualitas, said the consortium’s decision to work with Qualitas reflects the evolving landscape for construction funding. “ This is a significant transaction for both Qualitas and our development partners, and we’re pleased to be a part of it. “ When we consider an investment, we look for both quality projects and a quality sponsor –West End meets both of these criteria. It’s a vibrant design, in an increasingly sought-after location, at an attractive price point. Trenerry Property Group’s director Robert Dicintio said securing the project’s funding and commencing construction would provide certainty for purchasers. “ West End is a great example of a well-designed project that adds value to the community and to the location in which it sits, crafted by a local developer with local knowledge, and backed by local funds. “ West End’s success can provide confidence to the market that good quality projects that deliver tangible social and retail benefits are still selling well and attracting interest from major funding providers,” he said. Located just 500 metres from Melbourne’s CBD, West End residents will be a short walk from Queen Victoria Market, Flagstaff Gardens, Southern Cross Station and Marvel Stadium.